After reading Tin Dychiao’s blog entry a few months ago on the French “no water” routine which she discovered through Garance Doré’s blog (Thanks Tin for introducing me to her, I’ve developed a blog crush on her), I found myself drawn to this routine. I raked through the online literature (seriously!) for weeks to know more about this French beauty phenomenon. 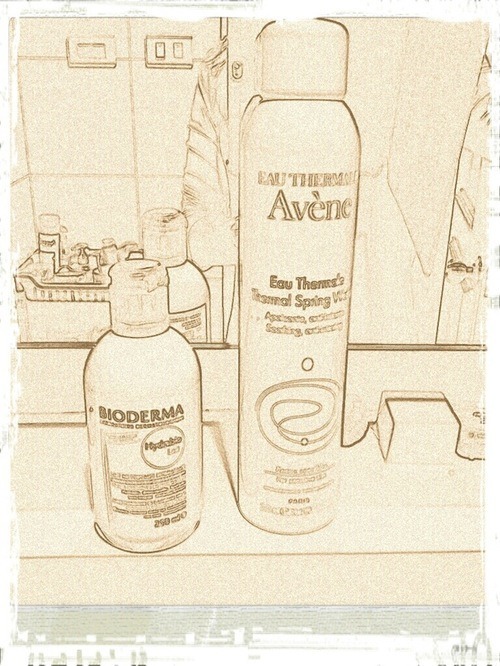 I finally got my hands on the Bioderma Hydrabio Lait and Avène Thermal Spring Water which worked wonders on my sensitive skin. So did I really stop washing my face with tap water? I will share with you more about this French discovery and how I applied it in my own skincare routine in one of my upcoming entries..